This column is an excellent forum for discussing special holiday music events. Throughout the year, you can look to Soundbites for spooky Halloween happenings, Santa-related soirées and New Year's Eve nonsense. But this week, I'd like to direct your attention to some events that pertain to an extra-special day of remembrance — or a day of forgetfulness, depending on how well you can handle yourself. I'm referring to Saturday, April 20 — aka 4/20. For the first time in our state's history, cannabis is legal to consume in a recreational capacity on the stonerific holiday. You're likely to get a whiff of the plant's signature spicy aroma no matter where you go. And believe me, there are several cool haps conducive to throwing down 4/20-style. Before we go any further, I should point out a couple of things. First, Seven Days' official cannabis issue comes out on Wednesday, May 15. That week's paper will be brimming with the latest on all things Green ... Mountains. So I'm going kind of rogue here. Second, it's still illegal to consume cannabis in public spaces — as it is with alcohol — so nothing much has changed in that regard. You shouldn't feel empowered or entitled to toke up anywhere you dang well please. And you definitely don't want to get behind the wheel with any kind of buzz on, no matter what substance you used. That said, those who enjoy cannabis responsibly should have plenty of fun things to choose from this weekend. Most of the following events aren't officially 4/20-related — but the timing for many is beyond perfect, and I'm making an executive decision to brand them as such. One of the biggest official 4/20 parties happens on Saturday at Zenbarn in Waterbury. 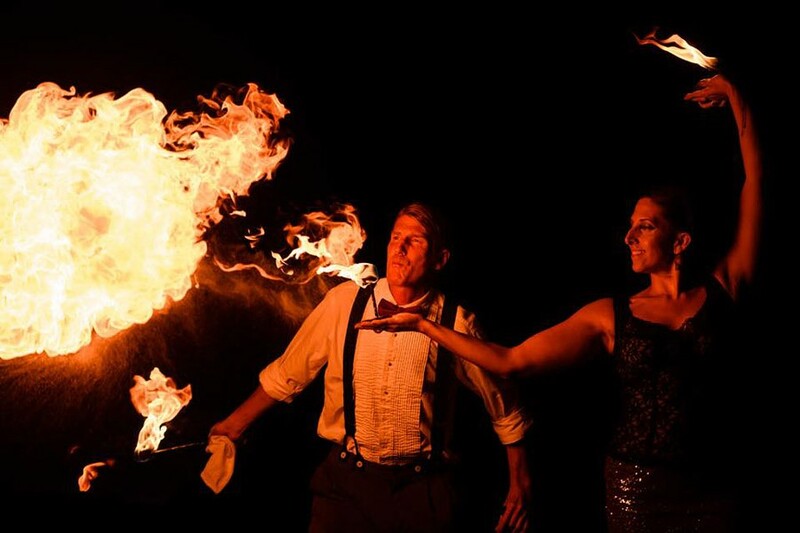 Aside from sizzling entertainment from fire-arts ensemble Cirque de Fuego and a late-night set from irrepressible dance machine DJ Disco Phantom, the event includes appearances from Vermont Cannabis Solutions and Lt. Gov. David Zuckerman, as well as a CBD-infused feast. Folks who like to laugh might check out Revelry Theater's "420: A Comedy Variety Show." The black-box theater presents a mishmash of comic stylings, including improv, standup, sketch comedy and music. And this event combines them all. (Disclosure: Seven Days' Bryan Parmelee performs at this show.) No stranger to weed-themed performances, the tiny comedy club also recently presented a set called "Dubious Advice," in which a panel of legitimately high people answered various questions from the audience about whatever was on their minds, followed by improvised scenes based on the conversation. Come to think of it — since everything is funny when you're high — you might as well put your laughs to good use and see some excellent local comedic talent on Friday, April 19, at the FlynnSpace. The recurring showcase is called "Stand Up, Sit Down & Laugh," and features sets from CarrieRae Shamel, Mike Thomas, Kyle Gadapee, Owen Foley, Meredith Gordon and host Josie Leavitt. Also on Friday, Providence, R.I., art-pop group Arc Iris begin a two-night run at the Light Club Lamp Shop. The band visits the area on the reg — but usually comes to bigger venues, such as the Barns at Lang Farm, the ECHO Leahy Center for Lake Champlain and Higher Ground's Showcase Lounge. The fact that it's playing the petite LCLS is special in and of itself. Though Arc Iris aren't touting their doubleheader as 4/20-related, methinks it's the perfect show to witness while feeling the moderate effects of the green. 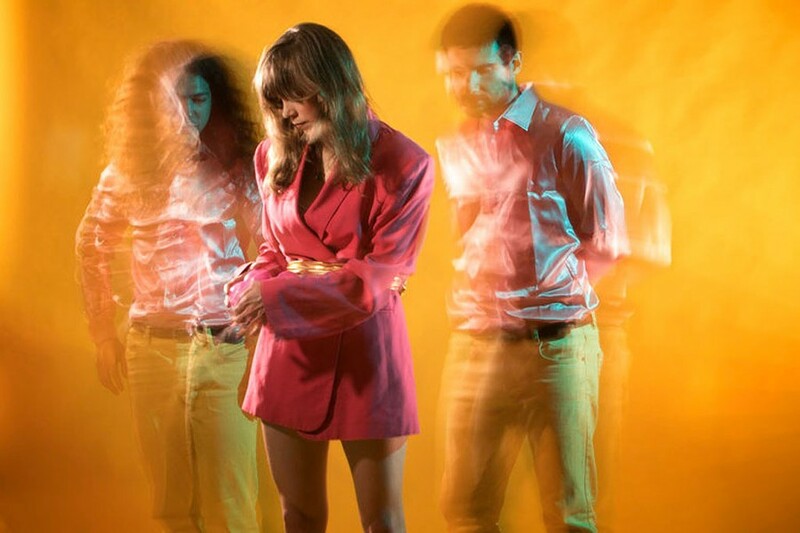 The group's fearless experimentalism and cosmic instrumentation is enough to expand your mind even when completely sober. Also spanning Friday and Saturday, ZappaFest takes over various locations at the University of Vermont. The focal point of the Frank Zappa symposium is the University Jazz Ensemble's performance in the Grand Maple Ballroom at the Davis Center on Saturday evening. New York City saxophone virtuoso Ed Palermo arranged selected works for the concert and will perform with the band. Zappa, whose boundless sound ranges from psych-rock to wholly unclassifiable mumbo-jumbo, was a pioneering force in fusion music. He was trippy as hell, as is his absurdly huge discography. Irie stoners looking to commune with Jah should head to the Monkey House for Soulstice and Lyon's Disciple on Saturday. This one's kind of a no-brainer, no-explainer. And I imagine there may be some audience crossover between this show and the Lizards, a Phish cover band, at Nectar's, who play the same night. Gusto's in Barre is throwing an EDM glow party with DJ duo ELMT to celebrate the date at hand. While pulsing house and dubstep might not seem like a natural fit for THC-induced shenanigans, I think it really depends on the strain. Technically, I can't officially suggest the following event as a 4/20 activity, since it takes place in New York State, where cannabis has yet to reach full legal status. But if it were legal, I'd say Plattsburgh's electro-psych outfit the Mountain Carol and Burlington post-punk group Roost — who play back-to-back at Monopole — would be the go-to 4/20 show in the Lake City. Maybe next year? All kidding aside, we should be glad that cannabis prohibition in the Green Mountains has (mostly) come to an end. We may like to joke around about getting high and seeing crazy music, but we should be celebrating the fact that the new laws are helping to end the stupid-AF war on drugs and will (hopefully) prevent unnecessary incarceration. Once again, please enjoy yourself responsibly this weekend. Fri., April 19, 3-4:30 p.m. Sat., April 20, 7:30-9 p.m.